Hello there lovely readers. How are we all? 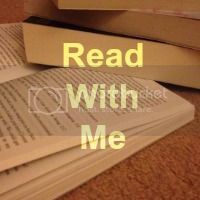 What have you managed to read this week?? Last week saw me getting into the last third of my Good Reads reading challenge and we are only half way through the year. I'm quietly pleased and wondering just how many I'm going to read by the end of the year. I've also started something new over on my you tube channel. Each week I am going to be vlogging about the books I'e picked for the girls from the library. Please do have a look at my latest video here. My favourite post from last week came from Let Them Be Small, she reviewed Eddie's Tent by Sarah Garland. This is actually part of a series of books. It looks both fun yet educational and has a really classic vibe about it, definitely going to be keeping my eye out for these. Onto the link up. New to Read With Me? Take a look at what it is all about here. Regular? Get linking, commenting (pretty please) and if possible displaying my badge. Good for you with your Good Reads Reading Challenge.